“I don't know if I believe in hope. It's used by people in power to maintain control” says Michael Moore during his on stage interview in front of a full house at Sheffield City Hall. Exasperated by a world in which Donald Trump could plausibly be the President of the supposed ‘Leaders of the Free World’, where tragedies like the Orlando massacre are alarmingly commonplace, and allies like the UK are considering leaving the European Union, Moore is hesitant when it comes to hope. Reagan, of course, was elected. And Moore endured similar shock and disbelief twenty years later when George W. Bush was voted in as President. Twice. So his position on hope is understandable. Moore is, thankfully, someone who acts on his frustrations. A formidable polemicist, staunch political activist and uniquely talented filmmaker and director, Moore responded in 2004 with ‘Fahrenheit 9/11’ – the excoriating film about Bush and the so-called ‘War On Terror’. Both disturbing and satirical, the film is the highest grossing documentary of all time. Moore is back once more and his latest offering ‘Where To Invade Next’ officially opens the 23rd Sheffield Doc/Fest. The film is almost entirely set outside of the US, as Moore visits a number of European countries in search of how foreign governments approach issues such as education, worker’s rights, drugs and gun laws. The running joke throughout is that Moore wants to steal the best ideas and commandeer them for implementation back home in the good ol' US of A. In reliably amusing fashion, Moore learns that in Portugal no one has been imprisoned for drug use for 15 years, whilst American prisons are hugely over-populated. He talks to former Australian Prime Minister John Howard about how he instituted gun laws in the country in the wake of the Port Arthur Massacre in Tasmania in 1996 that killed 35 people. Given that there hasn't been a mass shooting in Australia since, Moore wants to take that logic home. The faces on the Italian interviewees when they learn that no American is, by law, granted a single day of holiday from work, is a picture. Equally hilarious is Moore’s face when the Italians respond that they are entitled to 2-weeks paid holiday for their honeymoon! Never mind the five weeks of normal annual leave. It’s a formula that works well and the laughs keep coming as Moore learns about the exemplary education system in Finland and the abundance of women in politics in Iceland. Whilst the simplistic comparisons with his homeland are occasionally trite and lacking in the investigative rigor of his previous films, it is nonetheless an entertaining and informative movie. ‘Where Next To Invade’ is live streamed to 114 cinemas across the UK with the accompanying Q&A and it’s a high note to kick off the week ahead. 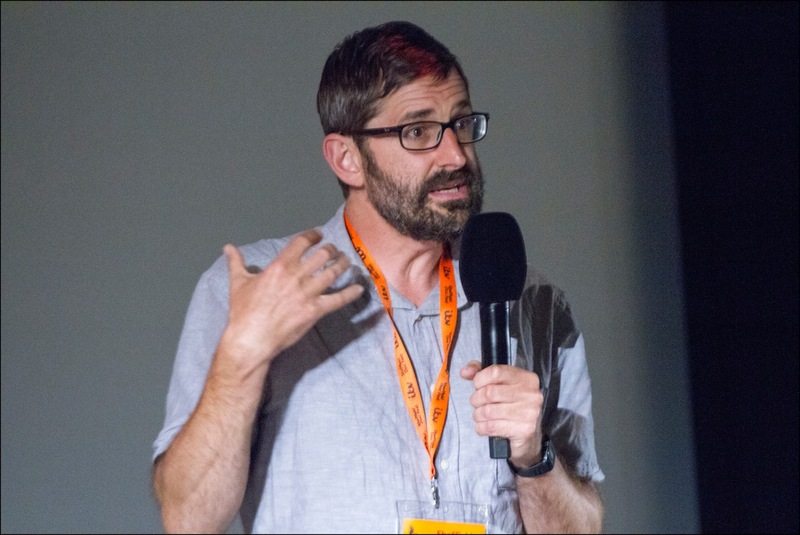 With 27 world premieres, 15 international, 19 European and a whopping 52 UK premieres, the Doc/Fest 2016 film programme requires some fastidious planning in order to cram in all the industry sessions, keynote speakers and inspiring documentaries from 49 countries. The range of films covers an enormous scope of subjects and is divided into some thematic strands, such as Instigators & Agitators, Women in Docs, Queer Screen and Behind the Beats. Music is particularly strong this year and standout documentaries include ‘Mavis’, a warm-hearted film about the legendary Mavis Staples featuring the likes of Bob Dylan and Jeff Tweedy, ‘Miss Sharon Jones!’ a moving film about ‘the female James Brown’, covering her late blossoming career and her battle with pancreatic cancer, by Oscar-winning director Barbara Kopple. Paul Fegan’s debut feature documentary ‘Where You’re Meant To Be’ takes viewers into the Scottish heartland with former Arab Strap cult figure Aidan Moffat. Darkly funny and brimming with characters, the film offers a whiskey-warming dram of Scottish folk tales, songs and singers. Further from our shores is the setting of ‘City of Dreams: A Musical’. Set in the Dharavi slum in Mumbai (the biggest in Asia), British Directors Sam Benstead and Brian Hill combine observational footage in a children’s school where songs reflect aspirations. Rather than slipping into a heavy document of abject poverty, this World Premiere reveals how the filmmakers have succeeded in crafting a hope-filled and broad smiling celebration of the human spirit. From Academy Award winner Morgan Neville is ‘The Music of Strangers’, a sweeping and searching odyssey across several continents lead by acclaimed cellist Yo-Yo Ma and his Silk Road Ensemble – a charismatic band of musicians, each with a fascinating tale to tell. From new films through to old classics, Doc/Fest strikes a fine balance and it was an honour to see the world renowned filmmaker D.A. Pennebaker in Sheffield. The festival screened his groundbreaking movies ‘Don’t Look Back’, the seminal 1967 music documentary, which follows a 23-year old Bob Dylan around on a UK tour, and the 1969 ‘Monterey Pop’, an utterly immersive document of the three-day music festival in San Francisco featuring incendiary performances from Jimi Hendrix, Janis Joplin, Otis Redding and culminating in a spellbinding performance by Ravi Shankar – the film presents the apex of 1960s rock music on celluloid. Pennebaker is at every screening and in fine form for his 90 years of age. Along with his wife and fellow filmmaker Chris Hegedus – both widely regarded as luminaries of Cinema Vérité – audiences join them as they look back over a body of work spanning 40 years. The pair also discuss their new film ‘Unlocking the Cage’, which focuses on Harvard Professor and legal scholar Steven Wise, who specializes in animal protection issues, primatology, and animal intelligence. This engrossing documentary trails Wise as he works tirelessly, butting up against a sceptical justice system, to win legal rights for imprisoned and ill-treated chimpanzees in New York. Wise is the founder of the Nonhuman Rights Project, the mission of which is to change the legal status of appropriate nonhuman animals from mere “things,” which lack the capacity to possess any legal right, to non-human “persons,” who possess such fundamental rights as bodily integrity and bodily liberty. Basically meaning intelligent creatures like primates and cetaceans should be protected from torture and imprisonment. Attenborough took a break from documentary making when he was the BBC2 Controller from 1965-1973, but he returned to his passion and hasn’t stopped since. And the good news is that he’s still at it and is busy making peerless wildlife documentaries. A six-part sequel to the hugely successful ‘Planet Earth’ is currently in production and will air later this year. He added that it would be “ludicrous” for him to retire while he was still being offered the opportunity to make programmes. 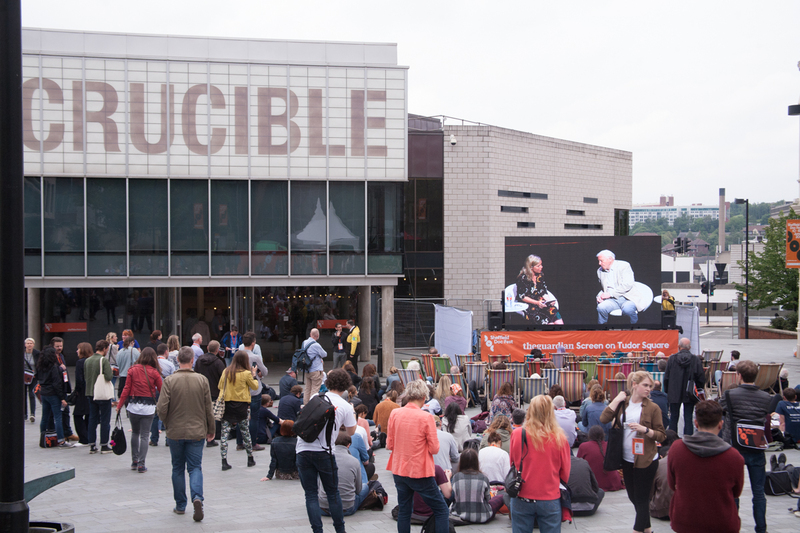 Fellow National Treasure Joanna Lumley also filled the Crucible to share stories and focus on the remarkable amount of documentaries which she is often overlooked for. Ineffably graceful and sophisticated, Lumley is an unsung comedian and with a slew of anecdotes told in that appealingly proper accent she keeps the audience laughing throughout. The heavyweight appearances keep coming at Doc/Fest and another huge crowd pull is the screening of ‘Versus: The Life and Films of Ken Loach’. The queue snaked long for this event, as the 80-year old Loach took a 45-minute Q&A following the film. ‘Versus’ is a profound and funny jaunt through the career of one of Britain’s most notable filmmakers. Fifty years of filmmaking makes for an extraordinary body of work and Loach is still at the top of his game, with ‘I, Daniel Blake’ – a touching film that about the struggles of a middle-aged widower and the UK welfare system in a frightening era of austerity – recently winning the Palme d'Or at Cannes Film Festival. Complimenting the 160 films shown across the city in a range of venues, including outdoor screens, Doc/Fest has a packed schedule of informative Master Classes and panel sessions where the whole business of documentary making is studied, focusing on everything from ethical dilemmas through to surviving filmmaking in danger zones. The Doc/Fest doesn’t operate like an echo chamber with everyone agreeing and singing from the same page – on the contrary it ignites vociferous debate and is fertile ground from which a thousand and one stories may germinate and bloom for the years ahead. What really shines through is the awe-inspiring courage of many filmmakers. People like Rebecca Prosser, 31, who was arrested in Indonesia last year when shooting a documentary about piracy in the strait of Malacca and held for five months, with the prospect of decades in prison hanging over her head. Despite her chilling brush with an extreme fate, Prosser still remains undeterred in her valiant determination to give a voice to those deprived of one. People like Seyi Rhodes, the presenter and investigative journalist who time and time again puts himself in harms way to bring us stories that must be told for the likes of Channel 4’s ‘Unreported World’ series. Sitting comfortably on the couch with a full belly and a glass of wine, it’s easy to forget the great personal risk such filmmakers take to bring us stories from around the globe. In many senses the festival is a microcosm of the world around us… so many conceivable emotions, issues and stories are presented and unpicked before us that the whole event makes for a compelling representation of life on Earth right now. Through film, discussion and debate, and a fascinating Virtual Reality arcade, the Doc/Fest holds up a mirror to the world to reveal the dizzying pace of change and global upheaval we are facing. Michael Moore’s advice is simple – don’t dumb down. “If your media starts to look like our media. If you make people pay to go to university… you're going to dumb down. We’re all in the same boat. It's the ‘we’ that will save us – the ‘me’ that will destroy us. “If you don't want to be part of the ‘we’ – you’re on the wrong side of history”.